The trailer of the most awaited film of 2017, SS Rajamouli's Baahubali : The Conclusion is yet-to-be-released, but the film started earning crores for its joint producers, Shobu Yarlagadda, Kovelamudi Raghavendra Rao and Prasad Devineni.​ The sequel to the 2015 blockbuster, Baahubali : The Beginning stars Prabhas, Rana Daggubati, Anushka Shetty and Tamannaah Bhatia as main leads. Reportedly, Baahubali 2 has already made a huge profit of Rs.​​​ 505 crores just from its pre-release business worldwide. 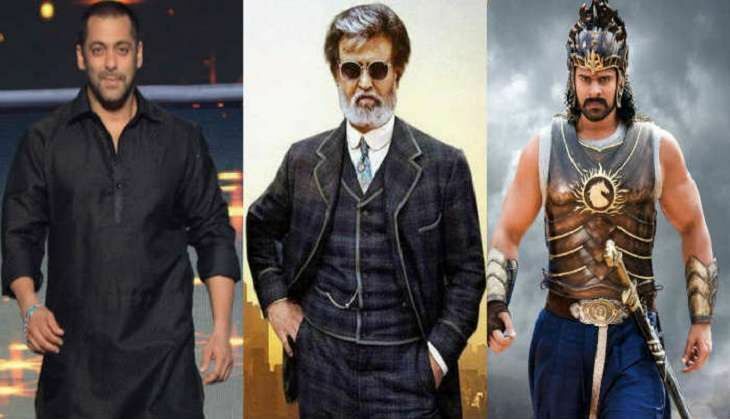 The film's pre-release business has already broken many top Indian blockbusters including Rajinikanth starrer Kabali and Salman Khan's Sultan. ​T​he ​Telugu ​theatrical rights ​of Baahubali 2 ​has been sold for Rs​.​ 1​30 crore​ while​ the movie earned Rs​.​ 1​2​0 crore by sale of ​Hindi ​theatrical rights​. The Rajamouli directorial has already minted Rs. 47 crore and Rs. 45 crore for the Tamil and Kannada theatrical rights respectively. In Kerala, the theatrical rights has been sold for Rs. 10 crore. The North America distribution rights have fetched another Rs. 45 crore for the makers. Baahubali 2 stars ​Prabhas in dual roles, as Mahendra Baahubali and Amarendra Baahubali.​ The film also stars Ramya Krishnan, Naasar and Sathyaraj in supporting roles.